Social media has a ton of marketing power and can help you achieve many different kinds of marketing goals. By using social media with a strong strategy, you can increase your website traffic and build your brand in a positive light so that people will trust it and become a customer. In this article, we’ll give you 12 Powerful Social Media Marketing Tips For Businesses that will help you achieve all of the things mentioned above, plus increasing your engagement and followers on social media. We’ll also give you some bonus tips and tricks that will help you in your social media marketing. When setting up your accounts on social media, it’s important that you set the same username on all of them. If you’ve already set your username, go back now and see if you can change them so that all your social media platforms have the same username. By having the same username and a consistent brand on all your platforms, you’re making it easy for people to find you, no matter which platform they search on. This is an opportunity you can’t afford to ignore. By implementing follow buttons on your website, you let people know about your social media presence and increase the chances of them beginning to follow you tremendously. If you have traffic on your website, why not leverage that and get them to start following you on social media, making it possible for you to have constant contact with them, and reminding them about your brand. For instance, many of the largest news and information websites have this, and that’s because it’s so effective. Forbes is a newspaper that has implemented social follow buttons on their website. A lot of people might not even know Forbes is active on those platforms, and this is a great way to spread awareness of their social media activities. When you do this and study the patterns of the social media leaders in your industry, you can find consistent things that your competitors are doing and incorporate them into your own business. A good method of “spying” on your competitors is to make a list of your competitors and check up on them consistently. Either make list in a document, or you can stop following everyone you’re following and only follow those you want to observe. Learning from those who have already done what you want to achieve is a great way to learn the latest and most effective social media strategies. This is a must in social media. The general rule has long been “the more you post, the better” but there’s a limit to how often you should post on different platforms. If you post too much, people will feel like you’re spamming and might unfollow you. However, the minimum number to follow is at least one post a day on every single social media platform you are active on. If you’re also using Instagram, they found that the major brands posted 1.5 times a day. 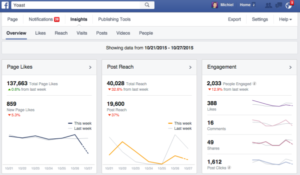 You can also experiment your ultimate post amount across different platforms and measure the times to post that generate the highest engagement. The reason to why the number of posts varies on different platforms is mainly because of the shelf life a post has on the respective platform. Most websites have these, and that’s because they’re easy to implement and very effective marketing-wise. Social share buttons are basically buttons on your website that people can click in order to share your post to their social media. You decide which social share buttons you want to include, but the more, the better of course. In addition, many of these social share buttons allow the people who share your website content to follow you on social media as well. The social share buttons are plugins, and there are a ton of different to choose from. Simply go to plugins and search for “social share buttons” and you’ll get many different results. There are several post schedulers but the most popular are Buffer and Hootsuite. Social media post schedulers let you automate and prepare posts, study statistics, measure social discussions and much more. By scheduling posts, you’ll save a lot of time, especially if you have several accounts to keep track of. By studying your analytics, you can learn what works and what doesn’t work. You can also learn what type of content resonates well with your audience, and tweak your content strategy based on that. Let’s say you make a post that gets 20 shares and one post that gets zero shares. You then want to stop doing the type of posts that get zero shares and start doing the type of posts that get 20 shares more often. But if you never measure results and look at analytics, it’s difficult for you to know what type of content you should share. Many social media platforms offer built-in analytics tools such as Instagram Insights and Facebook Analytics. But there are also a ton of third-party apps and tools you can use to get rich insights. This is one of the most effective strategies you can use to generate results long-term. People want to engage with a real person, not a logo or a fancy brand name. Social media is constantly changing, however, the principle of being personal on social media will always apply. To do that, you need to show that you’re not a robot by completely automating everything, and you need to show that you’re actually caring about your audience, but having genuine discussions with your audience. Two key things you need to make sure you always do: always responding to their messages and replying to comments on your posts. By showing your personality on social media, you open up to connecting with your audience on a more personal level, which will make them more loyal. When setting up your profiles on various social media platforms, your main goal is to prove to people who you are trustworthy and credible in your industry, so that people can feel trusted as well, in the hands of your brand. In your social media bio, share your accomplishments, share your education, certifications and make a professional profile. Don’t look like an amateur, because this will scare away a lot of people. Have a professional profile picture, add a website link in your bio, and don’t forget to add contact information. These are the most urgent, small changes that will make a huge difference in how your brand is portrayed on social media. According to me, this is the single most important part of any social media success. If you never engage with your audience, it’s going to be too one-sided. And after all, it’s called social media. It’s meant to be used to be social with! The whole point of engaging on social media is that you want to respond to people and show them that you care about them and value what they have to say. There really are endless ways you can engage with your audience on, but whatever you do, don’t forgret to do the basics of engaging on social media. You want a lot of people to comment on your post, right? But if you aren’t responding to those comments, your actions aren’t backing up your goals. Let’s put it this way: If you’re talking to someone, ask a question, ask for their opinion etc. but never get a response back, will you continue to talk to them? Not for long. The same goes for your comments on social media. If people are commenting on your posts but you are completely ignoring them, what reason is there to continue commenting? No matter if the comments are complaints or compliments, always, always respond to your comments. Most social media platforms have some kind of private message feature, and a lot of people are using that to contact brands. The same principle as the comments are applicable here. The private message feature is also a great customer service tool, so if you are responding to every message you receive these, you will most likely receive fewer calls and emails. Engaging with your audience has a lot of benefits. First off, by engaging, you will slowly start to build trust with your audience. And as you might know, trust is the key to getting sales. If a customer doesn’t trust you, they won’t buy from you either. Secondly, by engaging with your audience, you are improving their perception of your brand, increasing the chances of them recommending your brand to their peers. You can also do simple things like retweeting them back, asking questions in your captions and then asking them why they responded why they responded. When engaging with your audience, just make sure they feel included and taken well care of. This is the golden rule for content sharing on social media. This rule is very important to not driving away all your followers. The rule is important but quite simple. What it means that 80% of your content should be non-promotive, meaning that you should focus on providing any type of content that your audience will see as valuable. That can be anything from sharing entertaining to educating content. After the 80%, you have 20% left. This is where you do promotions for your brand. If you do promotions for your brand such as coupons and sales all the time, people are going to leave. People don’t care about your advertising unless they already like your brand, but that does not mean they won’t leave your brand either if they feel you are promoting and spamming too much. So, the purpose of this rule is to get people to see your brand’s valuable content before they see your advertisements because if the first thing they are welcomed by is advertisements, they will leave. The time you make a post can have a huge effect on how well the post performs. 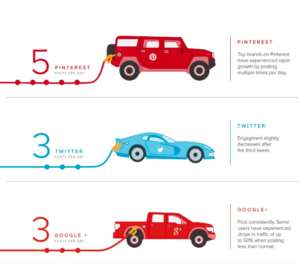 Different platforms have different ideal post times for the best engagement. There is much more to deciding the best times to post on the different platforms than just saying a time because it depends on a variety of factors. The most important factor is however where most of your audience is from. If the vast majority of your audience is from Europe, you probably have a different ideal time than if most of your audience were from the USA. That’s why I always recommend that you look at the different studies and what they say about the ultimate time to post so you have a starting point, then experiment with different times on the platforms you’re using to see which times are the most suitable for the platforms you are using. And if you believe that there is a single “best time” to post on social media, you’re going to get disappointed with the answer that there isn’t. 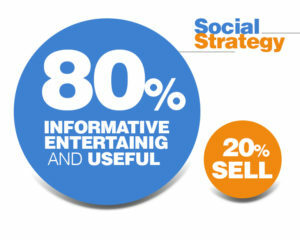 PrevWhat Are Some Of The Advantages of Social Media Marketing?